Restaurant Brands International Inc (NYSE: QSR) reported fourth-quarter results highlighted by better than expected same-store sales growth at Burger King and Tim Hortons. Piper Jaffray's Nicole Miller Regan maintains an Overweight rating on Restaurant Brands with an unchanged $70 price target. Restaurant Brands pre-announced top-line results in January while EPS came in slightly above expectations in the fourth quarter, Regan said in a research report. The company also showcased progress in operational and technology initiatives like delivery and self-order kiosks. 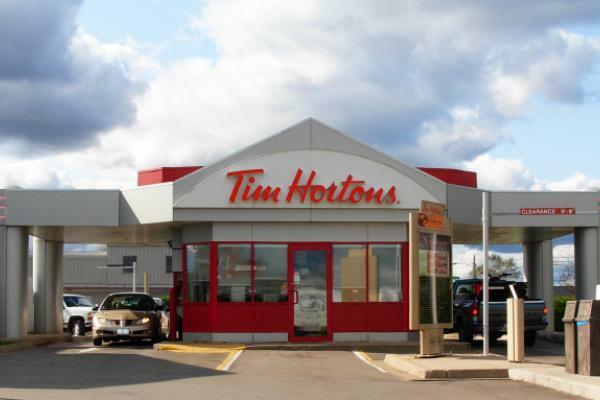 By segment, Tim Hortons showed its best comp performance in 10 quarters as part of management's "Winning Together" strategic plan, according to the analyst. The iconic Canadian brand's latest initiatives showed positive traction, including kids' menu, anytime breakfast and stores that were remodeled performed well. Burger King performed well in developing and international markets, while a balanced promotional offering in the U.S. generated strong sales. Regan said the brand will see multiple improvements roll-out this year, including digital menu boards, ordering kiosks, and new product introductions. Popeyes showed month-over-month same-store sale improvement in December due to the $20 holiday feast promotion that attracted the large order and family market. Delivery options are also driving a higher sales mix contribution. Shares of Restaurant Brands traded at $63.56 Tuesday afternoon.